Feng, the first golfer from China to claim a No. 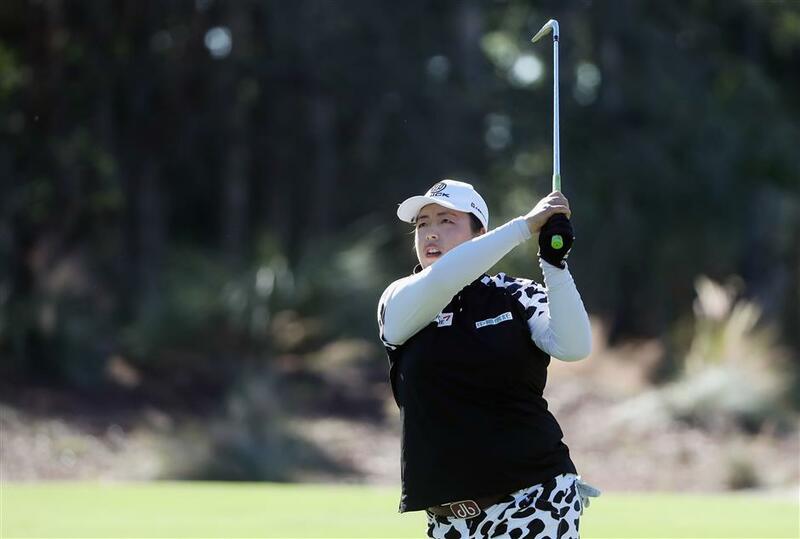 1 ranking, finished the LPGA CME Group Tour Championship in Naples, Florida, tied for 21st on Sunday. Feng Shanshan of China plays a shot on the second hole during the final round of the CME Group Tour Championship at the Tiburon Golf Club in Naples, Florida, on November 19, 2017. Feng Shanshan has retained her world No. 1 ranking following the LPGA Tour's season finale, the latest women's golf rankings showed on Monday. That was enough to see her hang onto the No.1 spot she had obtained earlier this month. South Korean rookie Park Sung-hyun was second in the rankings with her compatriot Ryu So-yeon third. Park had looked poised to claim the top spot in the rankings from Feng after leading at the halfway stage at the Tour Championship. American Lexi Thompson, who missed a two-footer on the final hole on Sunday that would have given her victory, was fourth in the rankings. Instead Thailand's Ariya Jutanugarn snatched the title with a 25-foot putt on the last. Sunday's win helped Ariya move up to fifth in the rankings. Meanwhile, Justin Rose has vowed not to dwell on narrowly missing a "fairytale ending" to the golf season after his implosion in Dubai cost him the annual European Tour prize by a single shot. The Englishman had won two tournaments in a row to bring himself back into contention for the Race to Dubai crown. He was leading the field at the turn on Sunday at the season-ending DP World Tour Championships in Dubai before a series of bogeys cost him the title. Rose's eagle attempt from just off the green on the 18th hole rolled agonizingly wide, handing the European Tour Order of Merit to compatriot Tommy Fleetwood on the final hole of 12 months of golf. "I'm not going to stand here and look at one shot, and second-guess it, because there were so many good shots that put me in that situation," Rose said on Tuesday, ahead of this week's Hong Kong Open in China's Hong Kong. "It was definitely nearly the fairytale ending to the season," he added. It was a second near-miss of 2017 for Olympic champion Rose in an otherwise successful year, after he also lost out in the Masters playoff to Sergio Garcia in April. "I think the near-misses are just part of the game. There have been a couple this year but I've had many moments where the difference between winning and losing is so small," the 37-year-old said. "I could easily look at a couple of shots and say yeah I'd love to hit them again, but I think you just need to accept it. I certainly don't dwell on it." Justin Rose of England hits out of a bunker during the first round of the DP World Tour Championship at Jumeirah Golf Estates in Dubai, United Arab Emirates, on November 16, 2017. Rose, Garcia and Fleetwood will face off in a competitive field at the Hong Kong Open, which kicks off next year's European Tour. Garcia, who ranked third on the 2017 Tour going into the weekend, also had an unexpected opportunity to claim the Race to Dubai title as his rivals slipped up in the closing moments of Sunday's finale. But he found a creek on the 18th hole and eventually made a bogey. 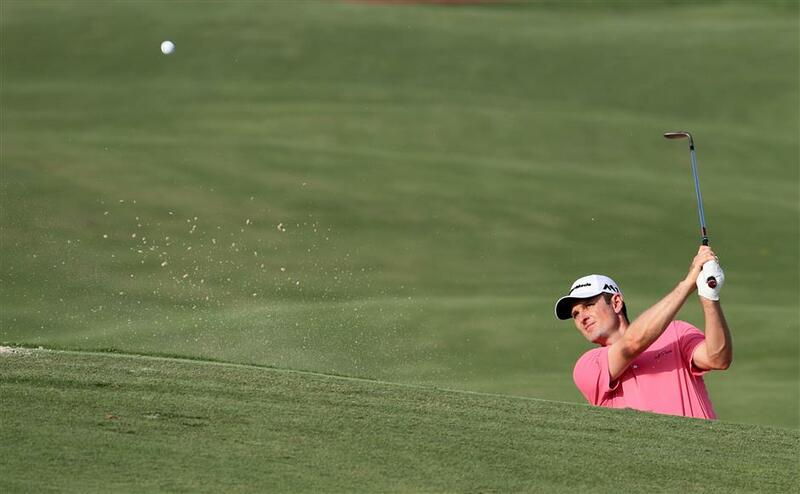 "When I was walking off the 16th I saw I was one shot behind Justin, but at that time I was thinking I have to finish birdie, birdie," said the Spaniard. "I did what I had to do, which was try to push on hard at the weekend, I had two really good days and almost came through. But it's been a great year." World No. 6 Rose will also compete in the final event of this year's Asian Tour at the Indonesian Masters in December, the tournament organizers said on Tuesday. The Indonesian Masters is held at the Royale Jakarta Golf Club from December 14 to 17 and will decide the Asian Tour Order of Merit winner, who receives direct entry into the British Open and World Golf Championships next year. "This will be a great way for me to end the year, playing in one of the Asian Tour's premier events, and playing in Indonesia for the first time. It is an exciting opportunity," Rose, a former US Open champion, said. "It has been an incredible year with two victories coming at once and I hope to make it a hat-trick of wins in 2017 at the Indonesian Masters." Thai Poom Saksansin lifted the trophy last year with a five-shot victory to clinch his first Asian Tour title.